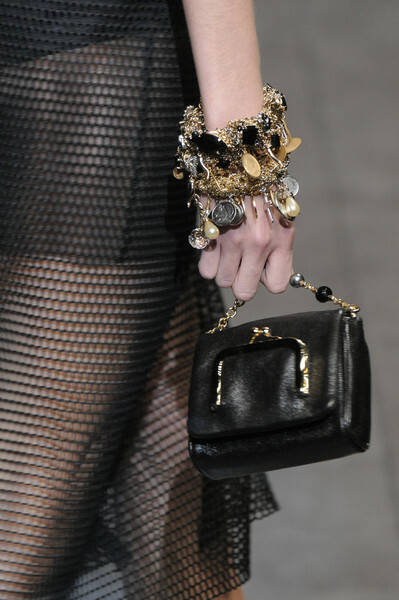 Tiny bags definitely seem to be a trend on the runway. Yet they are very unpractical, because there aren’t many items that will fit in these bags. But can we still call it a bag? 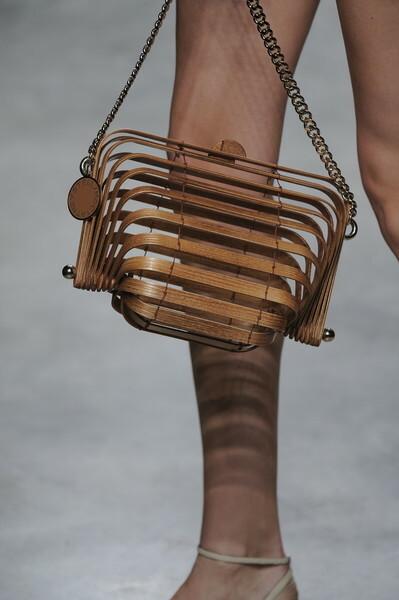 Most versions we saw on the runway looked more like extraordinarily shaped purses, if you ask us. 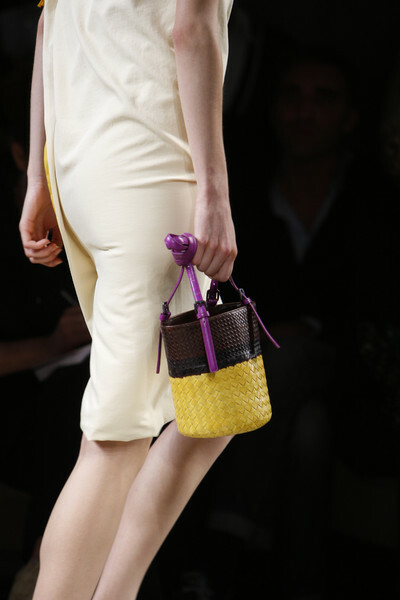 The bags may be unpractical, yet they created some funny looks on the catwalk. 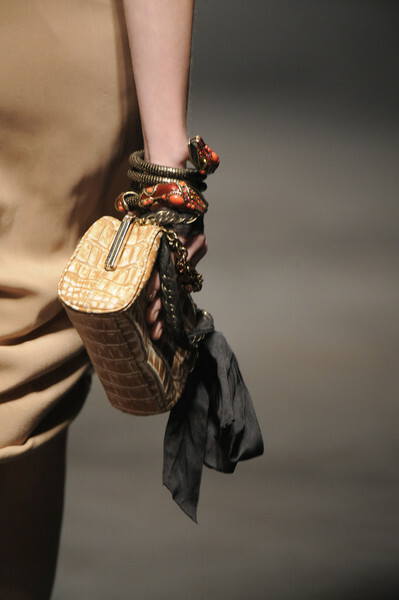 Extremely tiny were the bags in the Anteprima, Blugirl, Bottega Veneta, Etro, DSquared, Fendi and Moschino fashion show. . Most original were the Fendi bag with spikes, the pink bag form Gianfranco Ferré, the wooden ‘bag frame’ from Stella McCartney and the silk heart shaped bag from Moschino. 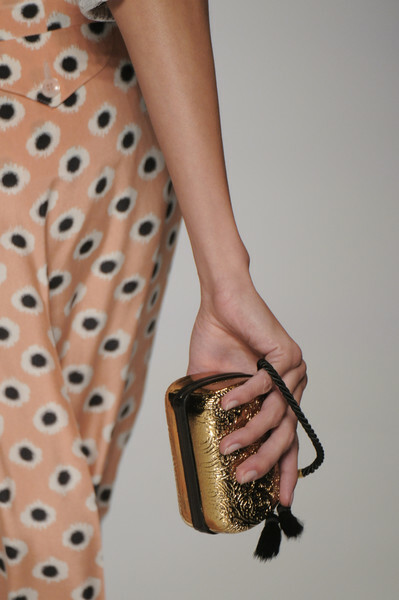 Unfortunately you’d have to keep most of these tiny bags in your hand all evening, but do they look cute!